HNP is full for the 2019-20 preschool year. If you would like to get on the waiting list in case of an opening during the 2019-20 preschool year, please fill out the application below. This application is NOT a waiting list application for any future falls and does NOT carry over to fall 2020. A new application must be submitted each year. Can I get on a waiting list for a future fall? No, we are no longer accepting waiting list applications for future falls. We have phased out the waiting list starting now that enrollment for fall 2019 is complete. We will absolutely honor all of the waiting list applications we already have on file (for falls up to fall 2022!) with priority registration above the general public, but we will not accept any new waiting list applications for future falls. The waiting list has been useful in the past, but is now so large that it no longer fits our needs. Starting with enrollment for fall 2020, all applications received during the enrollment period will be randomly numbered and placed in a lottery. Returning/alumni families will have priority for registration. Returning children and HNP staff children will be placed into classes first, followed by siblings of returning/alumni families, followed by all other applications. Placements will continue to be made in consideration of optimal learning environments, i.e. balance of age, gender, and diversity. Families will still be able to submit a waiting list application for a current school year, but that application will only be for a mid-year start of the current school year and will not carry over to the next school year. All families will still need to submit an application for enrollment every year. We feel that a switch to a lottery system will make enrollment more fair and simple for all families. 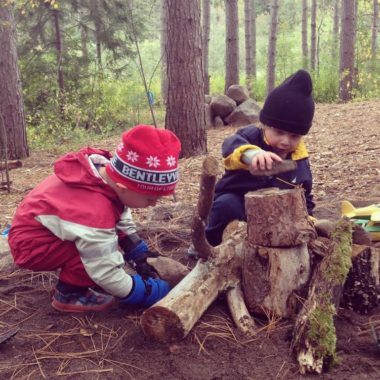 Please let preschool director Kaitlin know if you have questions, comments, or concerns about the waiting list or a future fall at psdirector@hartleynature.org or 218-724-6735. My child is already on the waiting list. Do I still need to submit an application for enrollment for the fall of my choice? Yes, ALL children, including returning and waiting list children, must submit an application for enrollment and the $25 application fee each year. Children are not enrolled straight from the waiting list into any given fall’s classes. The T/TH AM class is for three year olds and young four year olds who have just had a birthday in June, July, or August. We offer M/W and T/TH full day classes. Please note that our program is not designed for a child to attend both the M/W and the T/TH full day classes. We are unable to offer a Monday-Thursday or Monday-Friday full day offering at this time. The full day goes from 8:30-4:30. We do not offer before or after care at this time. Please know as you consider applying for the full day classes that returning children have priority for enrollment for the full day classes, which generally leaves very few spots for new children. 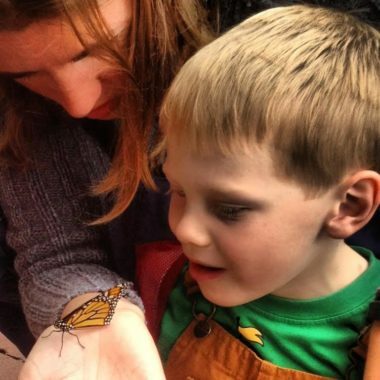 Please consider indicating half day classes that would work for your family’s schedule on your child’s application so that we have the best possible chance of getting your child into our program. Looking for more time at HNP? We have an extended Friday morning class from 8:30-1:00! The Friday morning class is open to both full and half day children (except those already here for our M/W/F AM class). All children will bring a morning snack and lunch and will be picked up by 1:00 pm (before rest time). 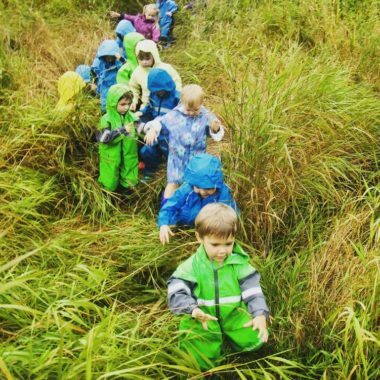 Friday mornings will be a chance for a good dose of outdoor play as well as extended learning opportunities beyond what is covered in the child’s regular class. Sign up for the Friday care option is a school year commitment, just like our other classes, and enrollment is limited to 16 children. The Friday morning class is only offered in combination with other HNP classes; children cannot enroll in only the Friday morning class. Yes, we happily accept county child care assistance and state Early Learning Scholarships. We also have a limited Hartley scholarship fund to help families that don’t qualify for county or state assistance, but still need help to pay for preschool. Please see our scholarship page for more information on applying for a scholarship to help you pay for preschool. A child cannot enroll in Hartley Nature Preschool until they have received the minimum shots required by law or filed a medical or non-medical exemption. Children who have not had all their shots are at risk of serious illness and also pose a risk to the health of other children in our care and their families. HNP must have records on file showing that each preschooler has been immunized against the following diseases or has a notorized medical or non-medical exemption: diphtheria, tetanus, pertussis, polio, measles, mumps, rubella, Hib (Haemophilus influenzae type b), hepatitis A and B, chickenpox (varicella), and pneumococcal disease. Rotavirus and flu vaccines are recommended for all infants and young children, but are not required.